I first heard of the band Treat years ago, sometime around 1993, when I bought a Metal Attack magazine about the Monsters Of Rock'88 Festivals. A few years later I discovered their music, and well... 17 years later I finally got the chance to see them live!! Trat are back with a new rerord called Coup de Grace an they're touring Europe again. I wasn't expecting anything particular but they blew my mind! If they can play such a good quality show in daylight I can't imagine how good their headlining shows can be! All musicians were playing great, and there was definitely a party atmosphere in the audience, even if a lot of people were discovering their tunes. Their setlist included classic and new songs, with catching riffs and choruses to sing along. All band members looked happy to be there! Singer Robert Ernlund was present all over the stage, singing verses on each side. 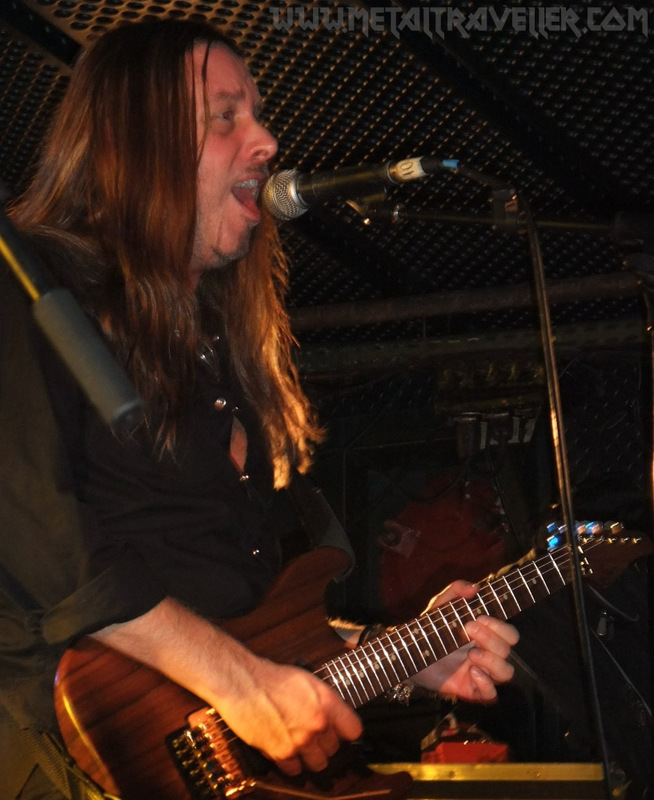 Patrick Appelgren was not only on keyboards, he also played guitar to back up a few melodies and riffs from Anders Wikström. Drumer Jamie Borger was smiling and headbanging while hitting his drums, and bass player Nalle Påhlsson was pulling funny faces anytime he made eye contact with the first rows fans. Treat's concert was one of the best shows I saw at Bang Your Head!!! 2010. Good music, good vibes, and a band enjoying the show as much as the audience!